« July was good to me. So It’s been quite a while since i’ve done an update. Haven’t had too much progress made. It’s been almost a year now, so my next post will be the state up the list update. I’m gonna check over the list and see if any items need to be changed or revised. Sometimes things change so we’ll see. Anyway, here are the updates. A friend of mine had a phone accident and lost her cell phone. Being mid contract, it would have been quite expensive to get a new phone. So I dug up one of our old Motorola razors and handed it off. Hopefully it found a good home with its new owner. So, our tshirt company at work release new tshirts every week. One of our newest releases I felt was quite fitting for heather. My poor wife is always so gracious with my game habit, unfortunately that makes her a “gamer widow.” If your not familar with the term, google it. It will make sense. So when I saw this tshirt on sale. I had to get it for her. So I pretty much destroyed this one last month at Gencon. It’s the annual game convention I go too. Since all the major game publishers are there I got to try out a TON of new board games. So rather then me re-post them all here, I’ll point oyu to this list. My friend Alex did a great job of listing all the games we played. Here’s the list for your browsing pleasure. This was one of the funner items i’ve finished lately. Me, Heather and my friend Kelly went up to Wisconsin for a weekend of sailing. 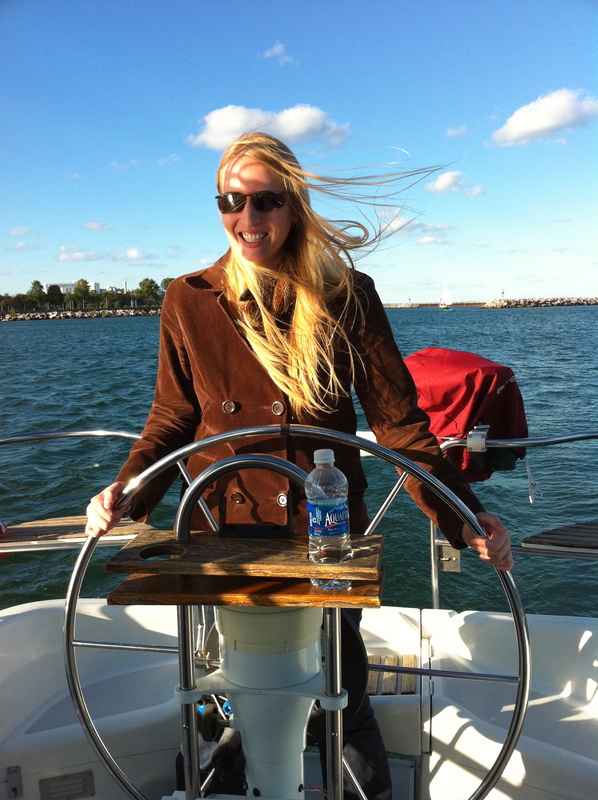 It was Kelly’s first time being behind the helm of a sailboat. My good-natured parents had no problems throwing her behind the wheel right away. But she did a great job and I was able to sit down and enjoy my cocktail. Unfortunately the sailing season is just about over, so we’ll have to wait for next year for another trip. So finally done, and this one took a whole lot longer than I thought it would. I guess I need to visit other restaurants more often. Anyway, we went for lunch to a place called Firehouse subs. It was apparently a sub shop started by firemen. But it was actually pretty tasty. And the best part was they had a whole shelf of hot sauces for us to sample. I would go back again for sure. Well that’s it for this update. Stay tuned for my next post in which I’ll take a look at my goals and see what needs to be revised.